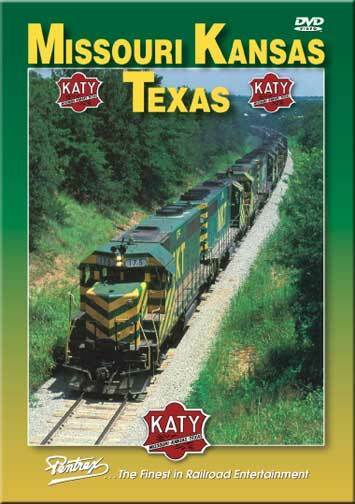 Missouri – Kansas – Texas is often referred to as The Katy. This railroad was to be absorbed into the mighty Union Pacific. The year was 1988. Pentrex filmed MKT operations over a period of several months. Operations are the main focus. Trains are chased over several lines. Street running and pacing sequences. 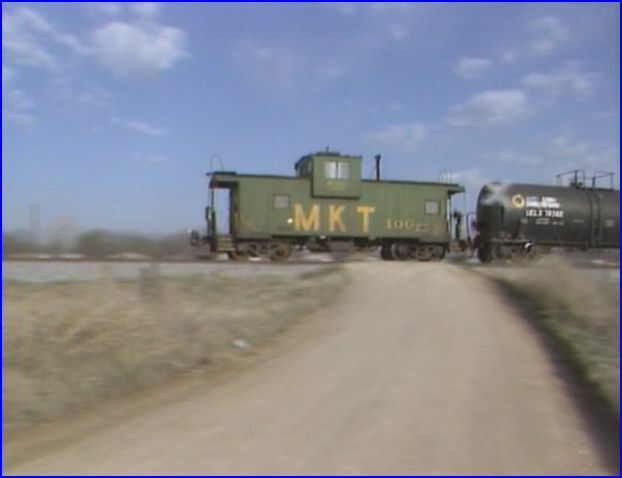 The late 1980’s were the twilight for mainline caboose service across America. High quality cinematography, is the standard expected from Pentrex. The film looks pro shot. Audio is bright and clear. DVD 2010 issue of an older videotape title. No maps are used. The show is narrated and a few non narrated action segments. The script is definitely on the basic side. Not bad, though it doesn’t really match the levels of the film and audio. Obviously, the railroad is in it’s final stage. The green and yellow livery appears in two versions. 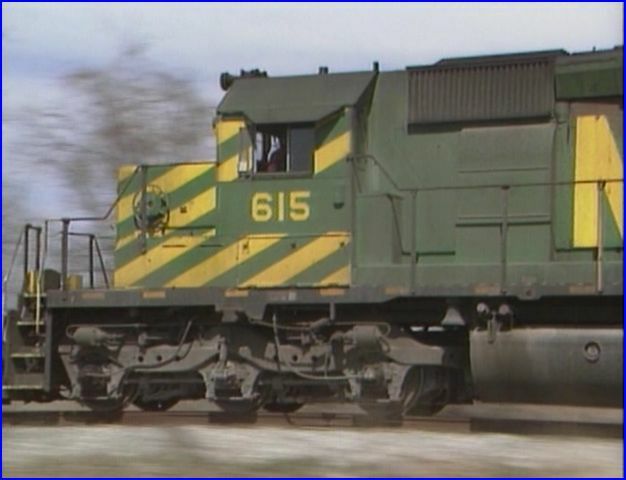 Majority of the power has the locomotive numbers on the cab. Alternatively, numbers on the long hood. Weathering on those units, make it difficult to discern chevrons on the upper cab sections. Caboose fleet has a raunchy appearance. 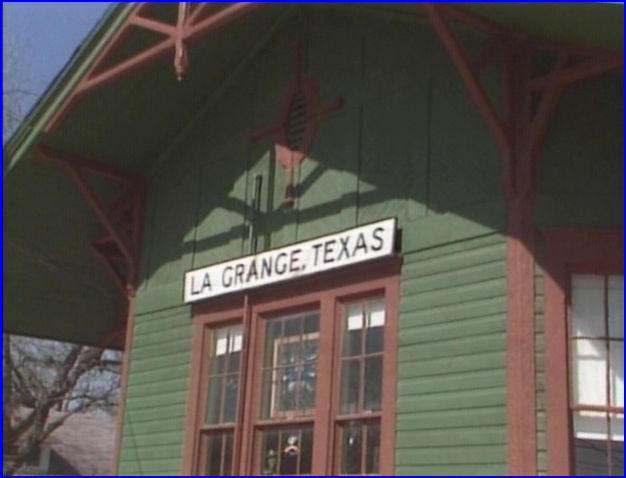 La Grange, Texas has this train engaged in street running. By this time, the roster is standardized to Electromotive power. SD40’s are the prime road locomotive. 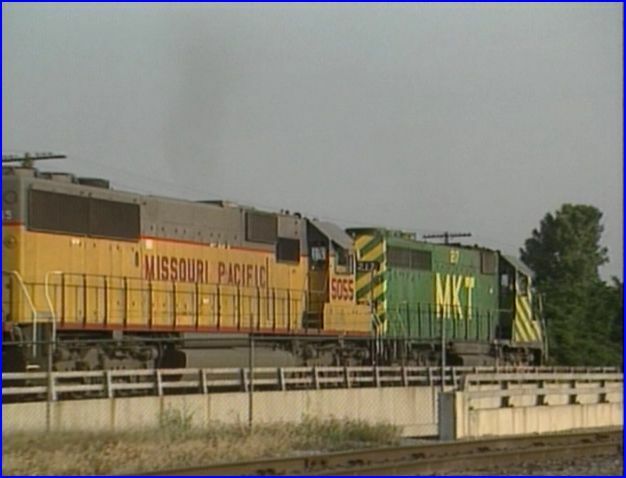 GP38, GP39 and GP40 engines are often seen. Rarities include an F7 conversion slug, F7A rebuilt slug and Alco RS3m. 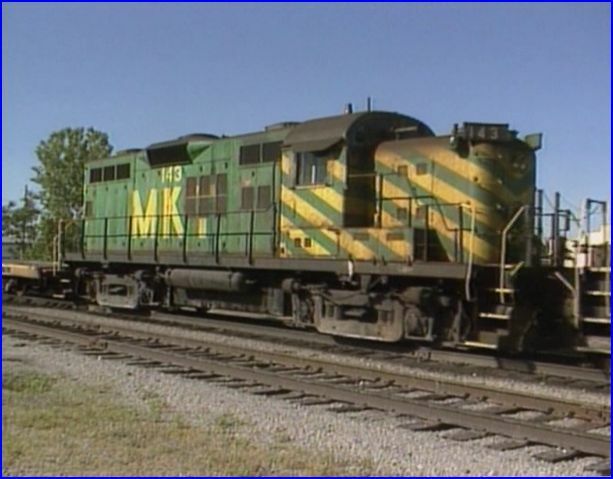 MKT 143 is a repowered Alco RS3. 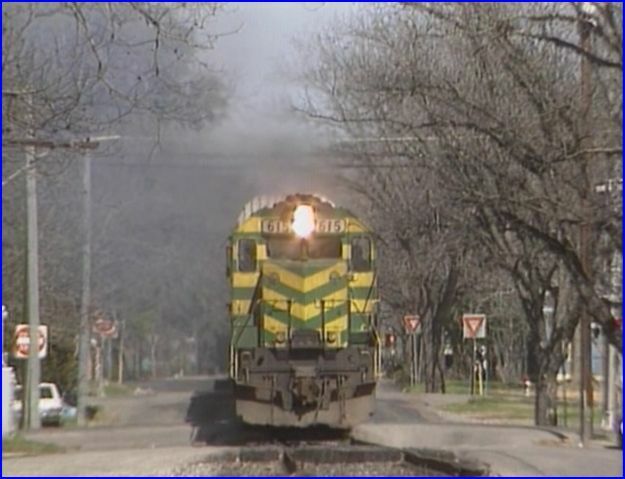 The EMD long hood is of the GP9 variety. 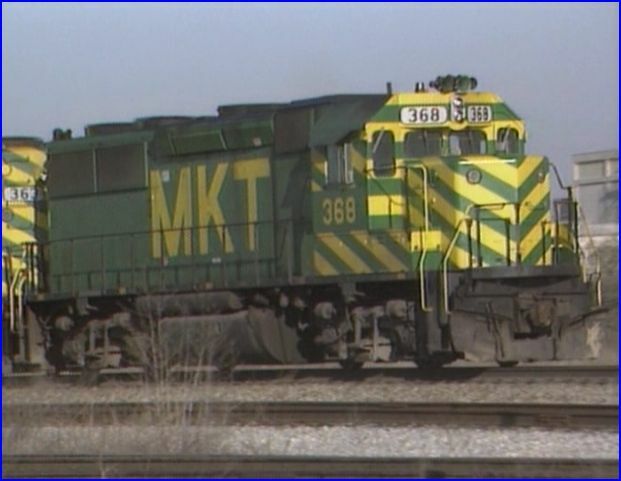 Katy was big on EMD rebuilds of Alco power. So, 143 is actually an RS3m or similar designation. An example of the lack of detail present in the narrative. Still, a nice find in 1988. Red River Bridge is a hotspot. Trains from BN and UP also travel over this line. 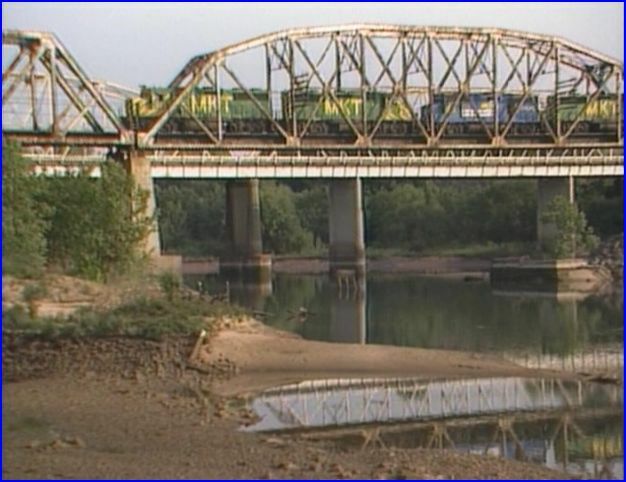 Missouri Pacific 5055. Canary scheme, lettered in Union Pacific livery. Missouri Kansas Texas is presented in nice color. The narrative is the weak spot. Would have liked to see more of lineside structures and yards. Railfans will find this a satisfactory visit to this bygone line. Horn blowing is almost too frequent, but kids will like it. Model railroaders have clear views of equipment. A solid show of MKT. 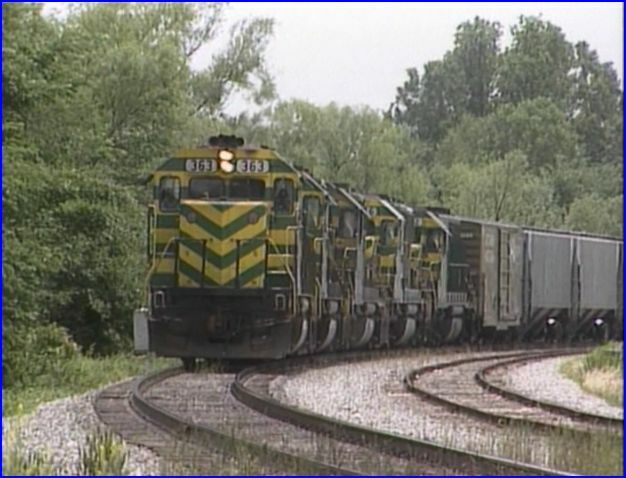 This entry was posted in ATVR Reviews and tagged American Train Video Reviews, Railroad, Train DVD, train video reviews, Union Pacific by William J. Hudson. Bookmark the permalink.